I found out at Christmastime last year that I'm going to be an aunt. My husband's eldest younger brother (get that?) and his wife are having a little boy due in July. Basically as soon as I had established my mailing address in Indiana, some yarn was in the mail to me, for the shower gift. I thought I would do something modest and practical, since my sister-in-law was flying to Chicago, her hometown, for the shower, and she'd have to schlep everything back home. Washcloths, I said. 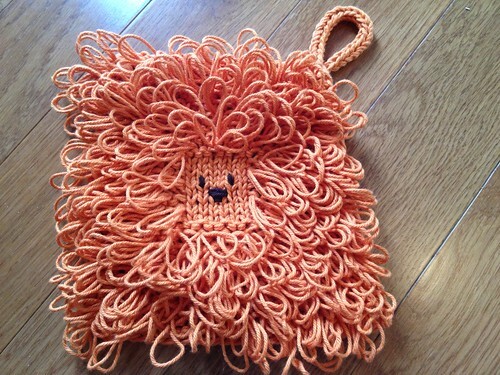 And then a lion washcloth (the nursery is Lion King-themed). 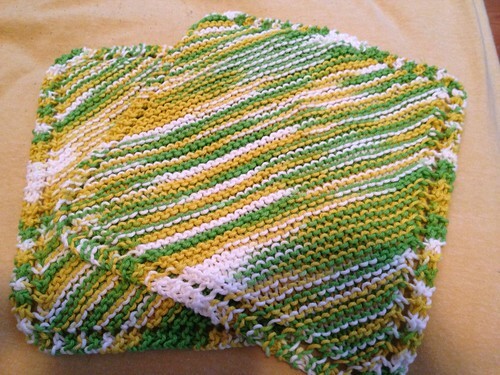 And then five more washcloths I forgot to photograph before giving away, but they're very cute and shaped like leaves. So yes, that's eleven washcloths if you weren't keeping count. That's good, I thought, I can make the baby a dapper little sweater or something for the holidays this year, and that will be super cute. 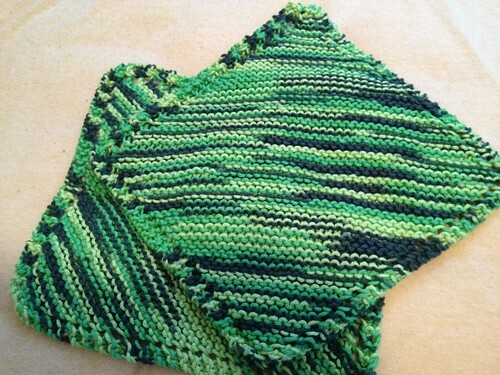 Except then I was browsing my friend activity on Ravelry, and someone had queued the cutest baby blanket that was green and leafy and looked perfect for a Lion King nursery (assuming it's more like the jungle portion of the movie than the savanna). I thought to myself, I've made so many baby blankets for friends over the years (I actually cuddled under the one I made for fellow blogger Emily the very weekend of the baby shower!). How could I not make one for my own nephew? Even if he is going to be born in Texas in July? Well, let's hope the air conditioning is aggressive in his surroundings. 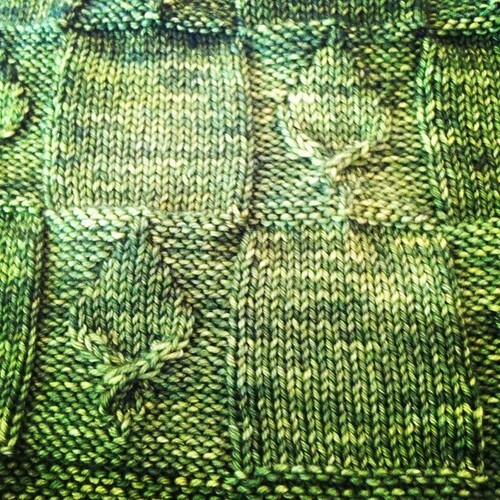 This is Madelinetosh DK in Jade, and it's an absolute dream to knit with. Honestly, if I can't go overboard for my first ever nephew, when can I? The concept of timeshares has always seemed weird to me, like why would you always want to go to the same place on vacation? The world is so big! But maybe I'm starting to understand a little bit, because there is something so comforting about returning to Maryland Sheep and Wool-- waving to the Boy Scouts who direct you to your parking spot, the familiar voice of the announcer coming over the PA system to remind you to drop some money in the proverbial hat, waiting in line for ribbon chips. But even in that familiar setting, there are always fun new surprises. 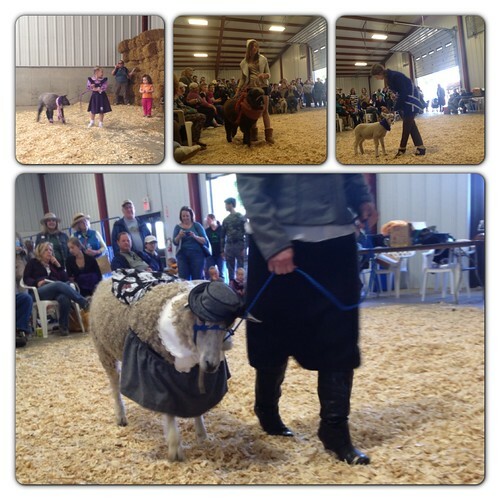 New outfits and new ornery sheep at the Shepherds Lead pageant. New skeins and finished objects in the exhibition hall. Fellow blogger Jenny Jo and I took in lots of competitions, demonstrations, and shows. 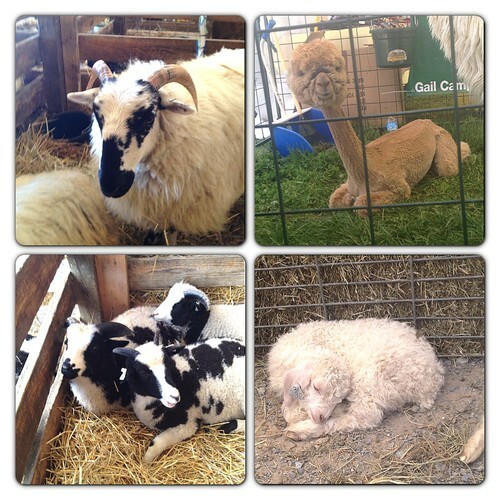 Sheep shearing, sheep dogs, wood turning, the kids' spinning competition. 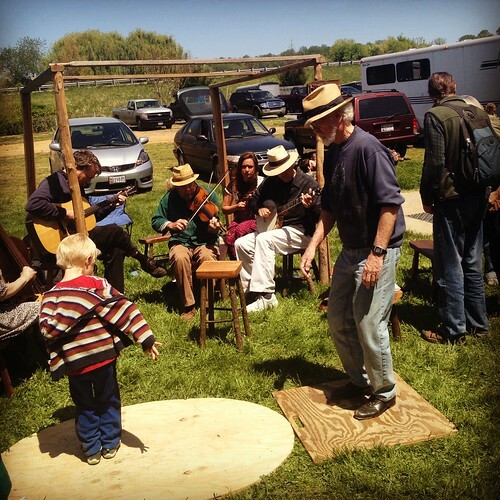 I know one of my favorite parts of the weekend was listening to this band play "Sugar in the Corn" while this man and some kids were clogging joyfully. I've said this before, but really and truly, the live music at MDSW is always a highlight for me. This is in stark contrast to Rhinebeck, where the interminable and unavoidable panflutes inspire nothing but murderous rage. There's never a shortage of animals to love on at MDSW. I must say, Jenny Jo and I shopped with a vengeance this year, and I am quite confident that we're both thrilled with our purchases. I'd been patiently waiting for the perfect yarn bowl to come my way. 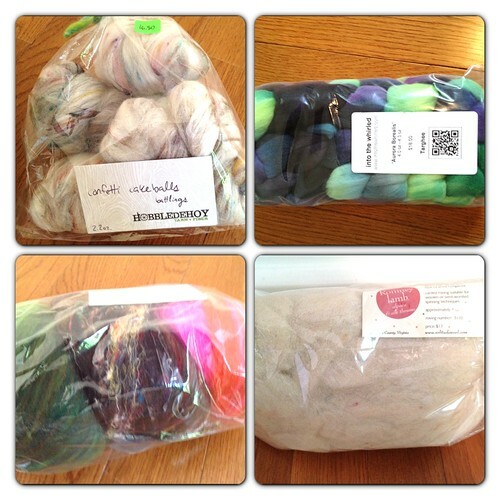 Less for yarn than for holding balls of handspun singles waiting to be plied. 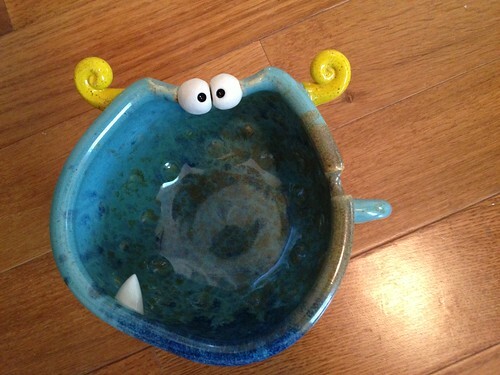 My patience was rewarded with this one from Claymonster Pottery which I love more than I could have guessed. Plus it's food safe and I can eat ice cream out of it if I want to. I also broke my rule of not buying buttons unless I actually had made a thing that needed them, but honestly. 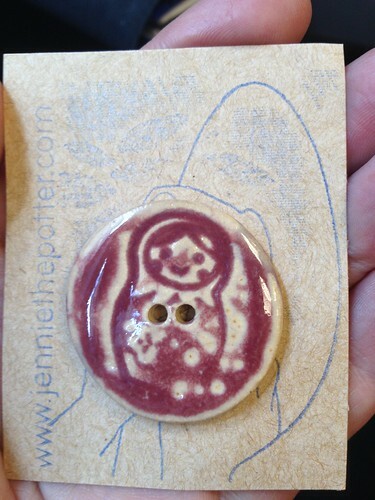 Look at this one from Jennie the Potter. 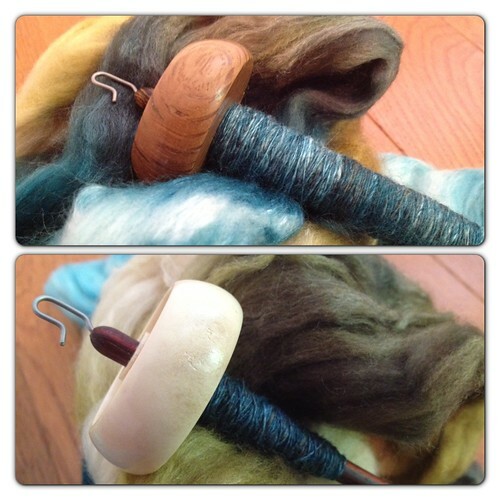 I picked up a Bosworth spindle I had pre-ordered. And it brought a friend. A friend made of moose antler! 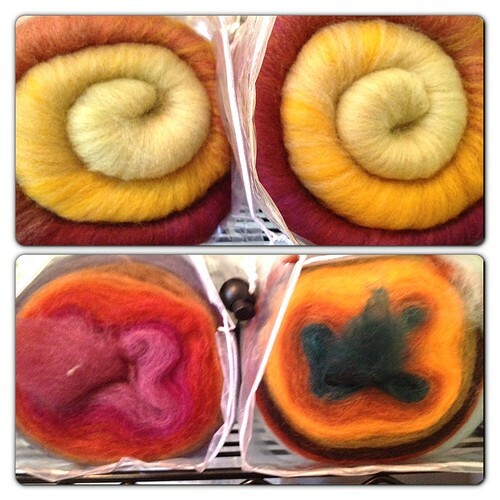 That's Into the Whirled, Loop, Hobbledehoy, and Solitude Wool. Last but not least. What will make a festival like MDSW different every time is the people you get to spend time with. It's always awesome to spend time with a fellow Elegant Yarniversian now that we are so scattered, and although I didn't get pictures, there were some other great people I met up with as well-- in particular Dana and Brittany of the Just One More Row podcast, and Leslie and Laura of The Knit Girllls. I tried to convince anyone who would listen to try spinning on the Golding travel wheel, not that that was hard. That's Jenny Jo à la René Magritte and Cleo, who I was thrilled to meet up with now that we're no longer sort-of neighbors. That wheel: what a remarkable machine. It really has me rethinking what wheel I want to save up for. I even met up with my in-laws for dinner on Saturday at the fantastic Double T Diner where we all watched my $2 bet on the Kentucky Derby go down the tubes like usual. So now I'm back in Indiana basking in the warm fuzzy afterglow of my two recent yarntastic weekends and trying to figure out what to work on next! I did it! 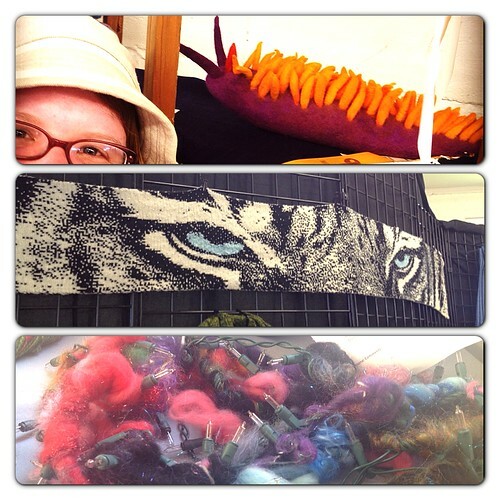 I spent my weekend knitting/spinning with a bunch of strangers. It was MAGICAL. First of all, my carpool. There was one other person coming from Bloomington: Liby, who does the Multicraftual podcast. We drove to Indianapolis-ish to meet the rest of our carpool: JoAnna, who does the Knit Spin Farm podcast, and Amy Beth, who does the Fat Squirrel Speaks podcast. Indeed, I was the only person in the car who does not have a podcast. As we were driving toward Washington, IL, we saw the most amazing thing in the sky. 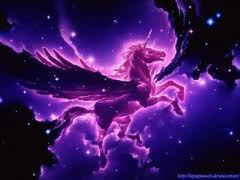 As you may imagine, this photo just gives you a hint as to its awesomeness. You know what's amazing about the internet? You google "horizontal cloud rainbow" and it tells you what you really mean is circumhorizontal arc. Gotta love that. I also love that the Knitting Pipeline podcast has a "Nature Notes" section, and we experienced some really unique nature on our way to the retreat. 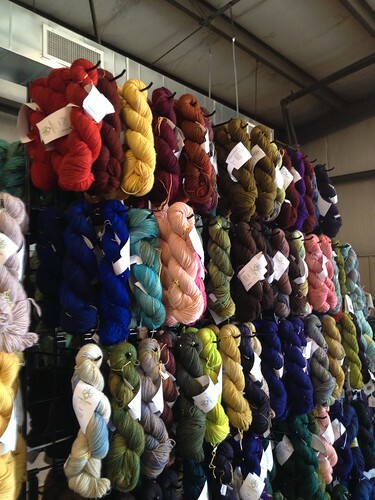 We stopped at a Klose Knit in Urbana, which had some beautiful yarn (I continue my mission to be like a Pokemon trainer but for Opal sock yarn) and where we had a fantastic realization that we had crossed a time zone and were no longer running late. I do this literally every time I drive to Illinois, and I do hope that someday I learn to take this into account. We also stopped at Heritage Hills, a farm that had Leicester Longwool sheep, which are a fascinating breed and make adorable lambs. Now I suppose I should say that the day I married my husband was the happiest moment of my life, but honestly, look at me here. I do believe this lamb felt loved (or terrified). Now onto the retreat! It was low key, mostly a lot of just hanging out and chatting working on projects. 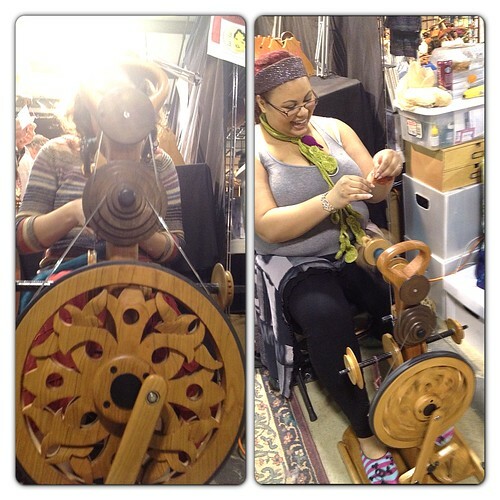 I did some spinning on my charkha and attracted a little attention. Sitting next to me is Susan B. Anderson, a fabulous knit designer, and standing is Rose who sells amazing yarn at Cakewalk, as well as our host Paula of the Knitting Pipeline. I went to some informal workshops on things like the Leicester Longwool breed, a show and tell about shawls, and one of the big hits of the retreat: the bellydance workshop taught by Liby. My entire carpool, thrifty as we were, decided to camp out on the floor of the church that was hosting the event. Paula is also a bagpiper and treated us to an amazing performance with two of her fellow pipers. There's something deeply moving about the sound of live bagpipes, and it's tough to explain, but it resonates with some emotional thing in my brain . When they performed Amazing Grace, I was actually fighting back tears. We really had a fabulous time. 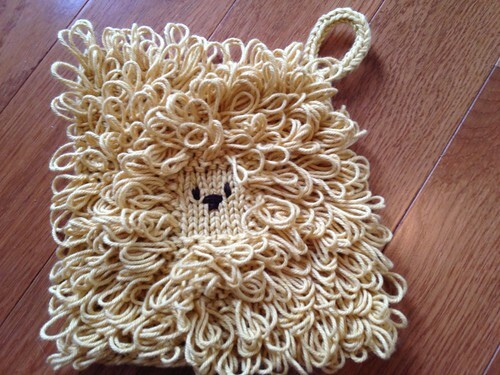 I even got some knitting done. 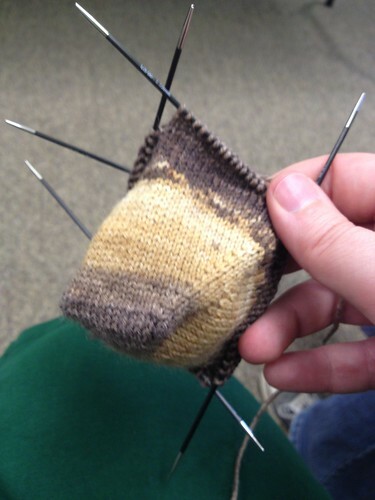 Here's the beginning of a pair of husband socks, made from Opal sock yarn and looking like a bear snout. I can now very heartily recommend going to a retreat. I met lots of really interesting people, learned a bunch of things (including hip shimmies), and expanded my knitting queue even further. What was especially great was that I didn't have to put in a lot of effort to meet people. There were plenty of people more extroverted than me who introduced themselves. At meals it was really easy to sit with a group of people whether you knew some of them or not. 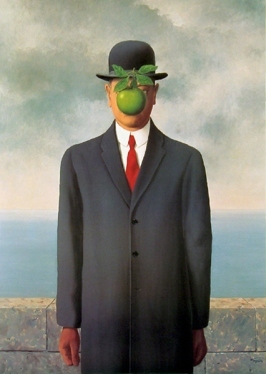 And of course, it's easy to strike up conversation about what someone is wearing or working on. Here's my carpool on our way home from the event. I say "carpool" but that seems so impersonal. This was a car full of seriously fun, smart, sassy, beautiful women. Amazing to think they were all strangers to me Friday morning! 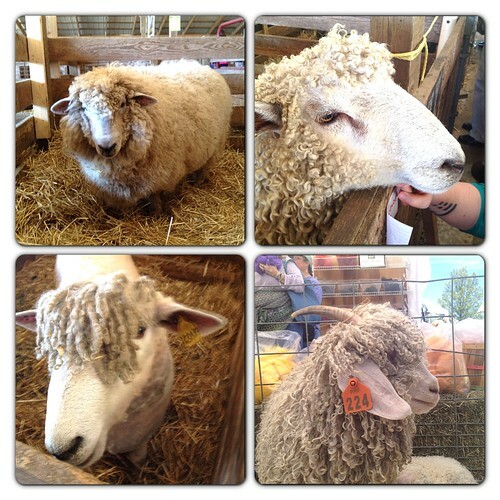 Now onto another sure to be fabulous weekend: Maryland Sheep and Wool. Will I get another fleece? What other goodies are coming home with me? Will I eat ribbon chips? The answer to that last one is yes.